With so much to see, use this guide to learn more about where to go and what to bring to make the most of your festival experience. After exploring the festival, soak in the fireworks from a variety of beach-front locations. Fireworks begin each evening promptly at 10:00PM. Check out the Second Beach Stage and explore an array of family-friendly activities, then head to the beach for the fireworks show. A partially obstructed view of the lower fireworks in a less crowded area. The closest viewing area to the fireworks barges as well as the host of our main ticketed areas! From English Bay, you can enjoy a fully unobstructed view of the fireworks from the beach. Enjoy unobstructed view from the beach, this area is more popular with families and residents of the area and is less crowded than English Bay. English Bay in the heart of the West End is easily serviced by transit and via the Seawall and Downtown bike routes — for an easy and fun experience, leave your car at home and take transit or bike to the celebration! Event nights will see increased Skytrain, Canada Line, and Bus service to accommodate a large number of fireworks fans. Be patient on your journey - the show will be worth the trip! Closest SkyTrain Station to the Festival is Burrard Station and the Yaletown-Roundhouse Station of the Canada Line. Numerous buses travel along Georgia St. to Denman, and the #6 will bring you from Granville St. to Denman St. Kitsilano is serviced by numerous bus lines however, there is no Skytrain service to the area. For transit service information and updates, sign up for Transit Alerts, or follow TransLink on Twitter @TransLink. To help plan your trip on Public Transit, visit the TransLink website. Go green! 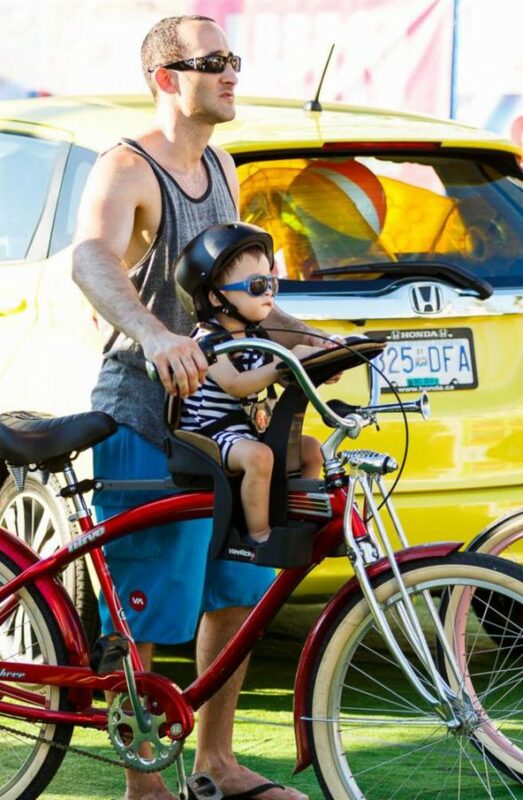 Not only is biking on of the easiest ways to access the Honda Celebration of Light, it's an environmentally friendly way to explore the Festival. Bringing your bike to the festival is a great idea, especially when you can lock it up safely in our complimentary Bike Valet. Bike Valet will be operating from 6PM each night of the Fireworks in multiple locations along English Bay. If you plan to drive, arrive early and leave plenty of time to find parking. If you can, try to carpool with friends and neighbours and be prepared to walk a distance from your parking spot. Road Closures are in effect from 7:00PM in the West End, including Davie, Denman and Beach Avenue. Access roads into Kits Point are closed from 6:00pm. Roads will re-open once crowds have dispersed and police have given their clear at approximately 11:00PM. Residents will be allowed into the area at specific access points but must display a valid resident parking permit or recent proof of address. Please respect all parking notices to avoid having your vehicle towed as enforcement will be strict. Motorists are not permitted to stop on any city bridge to view the fireworks, as it is a serious safety and traffic flow concern. Complimentary accessible viewing is available on the top deck of the YVR Observation Deck for disabled guests and 1 companion. Seating in this area is limited and on a first come first serve basis, so best to come down early to save your spot! Parking near the festival can be limited, familiarize yourself with the following designated Disabled Parking areas. Bidwell and Burnaby Streets: On-street parking on the east side of the 1200 block of Bidwell, from Burnaby Street to the lane north; and both sides of Bidwell, between Beach Avenue and Burnaby Street (from 5pm onwards). Parks Board Administration Office parking lot at 2099 Beach Avenue (from 5pm onwards). Limited number of stalls in the parking lot at Arbutus and McNicholl (from 5pm onwards). 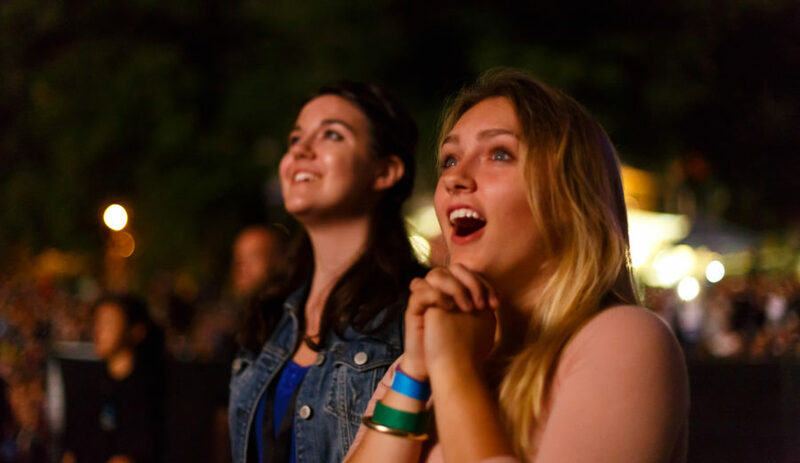 The Honda Celebration of Light is proud to host a full day of festival programming with live music, food vendors, activities for kids, and roaming performances to enjoy leading up to the 10PM fireworks show each evening. Don't forget these important items to make the most of your festival experience! Download our mobile app and you will have access to maps, schedules and a live simulcast of the fireworks music. Dress in layers and enjoy the daytime activities then be cozy and comfortable during the evening fireworks show. The fireworks celebration goes on rain or shine! Be prepared and bring sunscreen, lots of water, and a rain poncho to keep you dry just incase. If you are planning to enjoy the fireworks from The Keg Lounge, Concord Lounge at the Inukshuk, or YVR Observation Deck, be sure to bring your tickets with you. Please note, consumption of alcohol is prohibited outside of our licensed venues. Located at the Volunteer Headquarters, located in the Gazebo in Alexandra Park on Beach Avenue between Bidwell and Burnaby Sts. across from the YVR Observation Deck. Additionally, numerous First Aid services will be available throughout the festival site, check out our Festival Map and look for the First Aid Icon along with the Lifeguard Station located in the Bathhouse building in English Bay. Considering taking in the fireworks portside? In English Bay, all boaters need to position themselves outside the exclusion perimeter marked by marine buoys. These buoys mark the safe perimeter only and are not to be used as mooring points. If you are not thoroughly familiar with operating your boat at night please consider watching the display from the beaches instead. By observing a few simple safety rules, boaters can contribute to a safe, incident-free event. With so many Fireworks fans, be extra cautious, keep the following safety tips in mind to enjoy an evening of wonder on the water. Boating License & Navigation Lights – you will be leaving after dark, make sure you can be seen! Be aware of hazards: tides, current, other vessels, and shallows. Have all your Safety Gear on board at all times know the laws around alcohol and boating, and respect them – Police will be on the water to enforce these laws. Maintain a safe lookout at all times for canoes, kayaks, and other non-powered vessels. Canoes, kayaks and other non-powered vessels should stay close to the shore to avoid interfering with the navigation of larger vessels and be aware of the exclusion perimeter as well as ensure they are visible on the water.